15th April 2012 – Apricot Blossom (Sunday Post) | Photograph: To draw in light. Photograph: To draw in light. 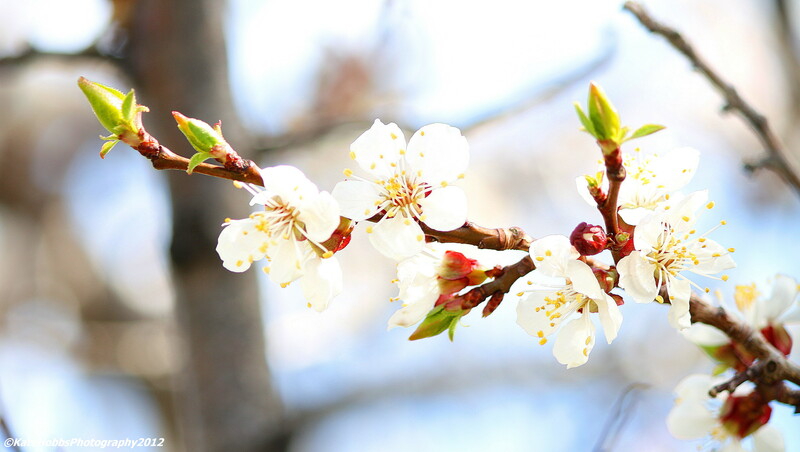 Of all the tree fruits to be found in the Okanagan Valley, Apricots are the first to blossom. Their delicate white petals and deep pink buds give no indication of the wonderfully coloured, sweet fruit that will appear in a few months time. My first experience of eating apricots was as a child. I loved them then and I still do. However, the UK weather does not allow us to really grow this type of fruit so we get the imported variety. I have to say now that these do NOT compare with fruit that has been ripened in the sun, picked while still warm and immediately eaten. The sweetness and softness of the fruit is mouth-watering. So, if you have the opportunity to eat apricots straight from the tree, my advice is – GO FOR IT. You won’t regret it. You won’t want shop bought, imported apricots ever again!!! This post is also part of Jakesprinter Challenge – SUNDAY POST: Blossom. For full details of this challenge click on the link. Why not have a go yourself? You might be surprised what you can find that meets the criteria! 15 Apr	This entry was published on April 15, 2012 at 5:43 pm. It’s filed under Canada, Photos and tagged Apricot, BritishColumbia, Canon, Colour, Fruit, Kate Hobbs, My 2012 Photo Challenge, Okanagan, Okanagan Valley, Photo Challenge, Photograph, PostADay, Produce, Sunday Post, Trees. Bookmark the permalink. Follow any comments here with the RSS feed for this post. What a beautiful blossom…wonderful colors…reminds me of the joys of Spring. Lovely post, with lovely photos. Apricot trees in bloom are so pretty, aren’t they? They certainly are. I am looking forward to the other tree fruits blossoming soon. Everyone has a different colour and smell. Don’t you just love seeing blossom on the fruit trees? We still have peach, apple, pear, plum and cherry to come. We are so spoiled here. I do love seeing the blossoms. But it makes me nervous, because we have unpredictable weather, so I worry when they bloom if it’s too soon or not. I’m looking forward to my peaches, cherries, and apples. The apples are very reliable. Apricots sure are delicous! I agree with you totally! I can’t wait until the fruit season is here. Eating all that fresh fruit off the tree is just a memorable experience. Shop bought stuff just doesn’t compare!! !